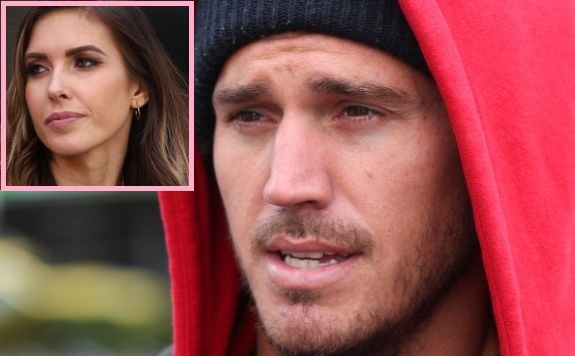 Corey Bohan says he’s not the monster his ex-wife Audrina Patridge made him out to be in court during their bitter custody battle for daughter Kirra— and apparently, a judge agreed with him! The Australian-born ex-husband of The Hills: New Beginnings star took to Instagram on Saturday to post a rare update on the custody battle– as well as where the domestic violence charges that Audrina filed against him in 2017— stand. 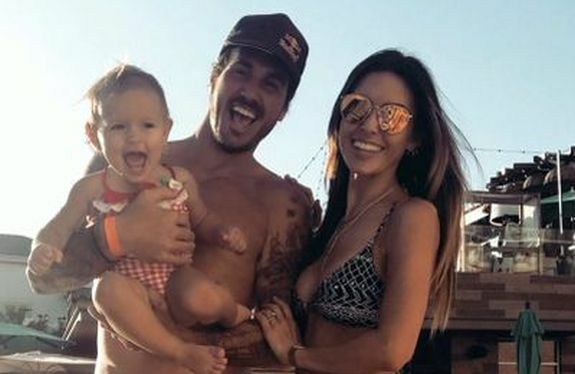 He also announced that he has been victorious in his fight to keep Kirra off of Audrina’s new show, ‘The Hills: New Beginnings,’ as well as any other television or social media project Audrina may have wanted to include Kirra in. In those court docs, Audrina claimed Corey has “displayed angry, rude, and emotionally abusive” behavior toward Kirra, and asked the court in March 2018 to strip Corey of his visitation rights for Kirra. Corey has always denied that he was abusive to his daughter and Audrina. “These [past] two years have challenged me in ways I cannot explain,” Corey wrote on Instagram on Saturday. “It’s been long enough. Not only was I accused of domestic violence but I had my daughter taken away. I cannot tell you the pain this caused. Corey’s mother, Lea, also revealed her thoughts on her ex daughter-in-law in the post’s comments. In his post on Saturday, Corey encouraged other fathers to fight for their relationship with their children. Audrina has not commented publicly on the custody battle resolve and domestic violence charges being dropped. However, it’s likely that her battle with Corey will be discussed on ‘The Hills: New Beginnings,’ which premieres on MTV this summer. Not knowing either of them, I find his behavior a bit suspicious. I’ve heard far more from Corey than Audrina, yet he is ranting again that she is bashing him publicly. It also strikes me as odd that he keeps referring to Kirra by her full name “Kirra Bohan.” Who keeps using their own child’s last name when referring to her? It’s like he’s trying to remind everyone that she has his name i.e. she belongs to him. Worth noting that he says he got “split” (joint) legal custody, but says nothing of physical custody. This must mean that Audrina retained sole physical custody of the baby. If he got joint physical custody, he would have definitely said so. Dropping domestic charges (were they dismissed or did she voluntarily drop them?) doesn’t mean the abuse didn’t happen. Not saying he definitely abused her, but the charges being dropped doesn’t mean that he didn’t. And his mom isn’t helping his case. She sounds just as petty. he said she trashed him publicly and that was wrong.. yet, he is trashing her publicly and his mother is calling her names publicly…lol ok. I still think he did this out of spite. If he and Audrina were still together, I can almost guarantee that Kirra would be allowed on the show. I remember pictures from back in the day of him and arguing with Audrina and her crying…and they even broke up at one time because of his controlling ways. He comes off as such a petty guy to me…and what’s up with that whole “It is with great honor” line?? He’s acting like he just ended world hunger. I believe Audrina. Something always seemed off with him to me. & of course his parents and family are siding with him and are badmouthing Audrina – blood is thicker than water. Doesn’t mean or ‘prove’ anything. ooof. If she really lied about that… that is so messed up. This is why you don’t date American girls stick to your own. Abusers are notorious for using their children as a way to hurt and/or control their victims and judges are notorious for allowing it to happen. How many abusers are granted some level of custody on a daily basis? Way too many. Look at David and Jenelle, FFS! His mother coming to his defense and trashing Audrina means nothing. Abusers are expert manipulators. Exactly! Who would trash the mother of their grandchild! Now we all know just where he learned to be abusive and manipulative. I have so much respect for him for fighting for his relationship with his daughter. It’s a beautiful thing.